Jacksons courtyard gates are designed to grace any driveway, every gate features a galvanised steel frame to prevent twisting and provide added security against vandalism and intruders. Rye Courtyard Gates with their sturdy design and level top offer the ultimate modern solution to your home entrance. 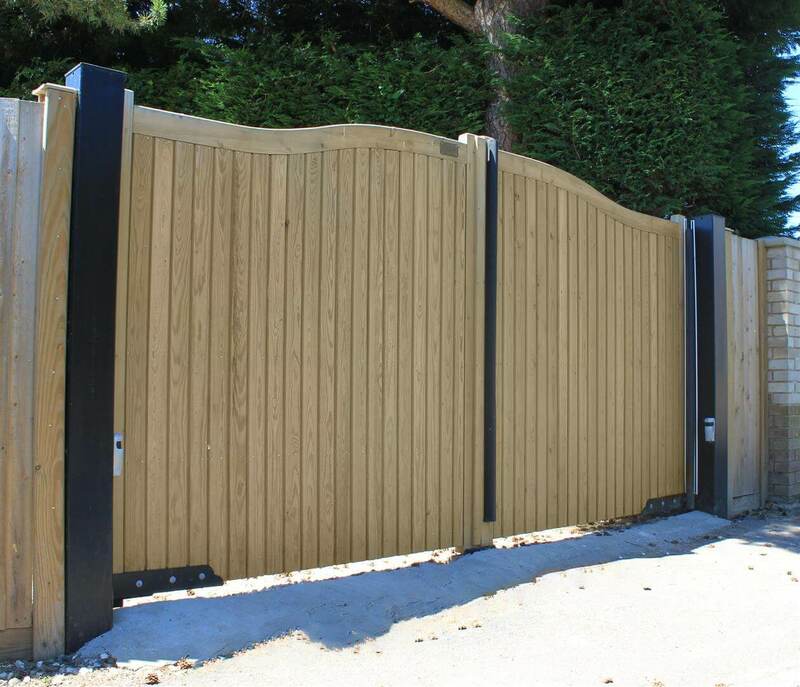 Wooden sliding driveway gates that can come with or without a track, and can be automated. The Railing Panel Courtyard Gate combines metal and timber with the shape of the Hythe Courtyard Gate and the addition of an attractive railing panel. You cannot buy this product online, please call to order. Taking their cue from our popular railing panel courtyard gates, the cathedral courtyard gates also combine timber and metal to great effect. Sandwich Courtyard Gates have a slight dipped curve to the top of the gates. You cannot buy this product online, please call to order. Hythe Courtyard Gates offer a sleek, arched design that will grace any driveway. Choose from five contemporary styles of gate, perfect for creating a stylish entrance to your home. All gates can be manual or automated.